There are no art galleries in Sikkim. 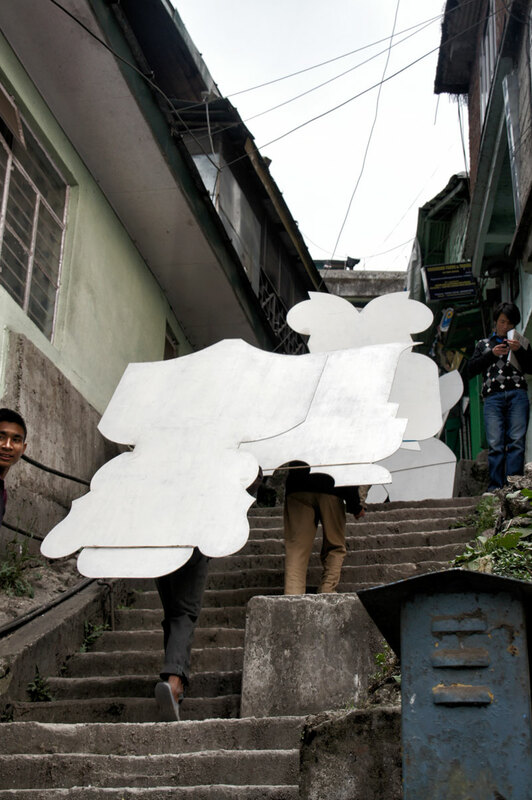 Transport and distribution of goods into Gangtoks steep and narrow alleys is dependent on human carriers. High up in the mountains the Kulis of the Himalayas developed their own and very distinct methods of carrying the heaviest loads around. 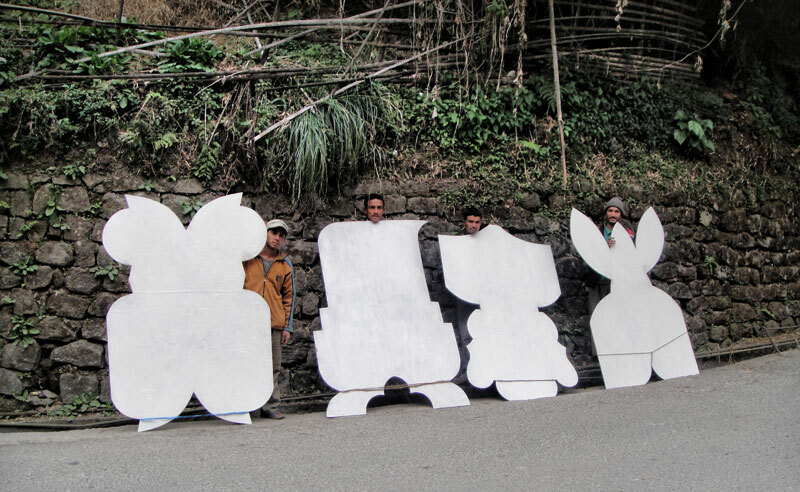 The familiarity of this image in the streets of Gangtok is broken by the strangeness and futility of the white objects that are being carried. 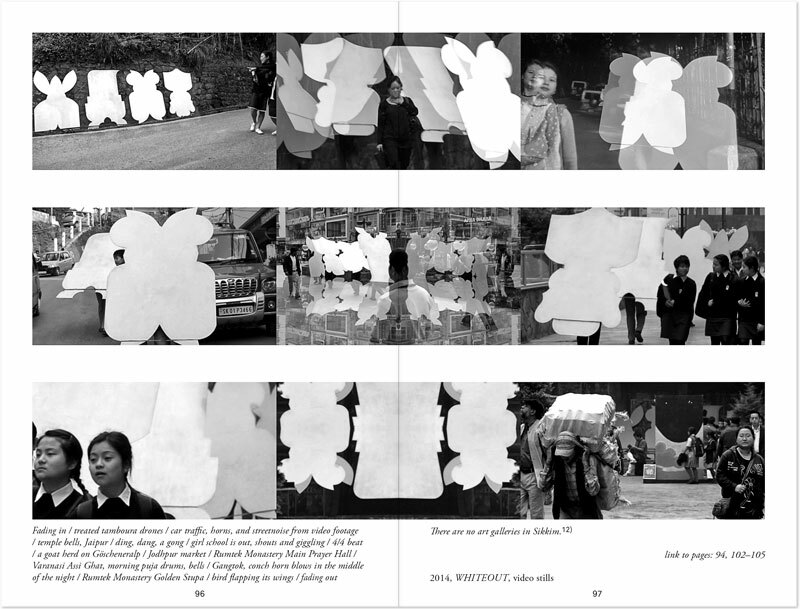 White Space takes the walls of the gallery out onto the street, performing a procession or a parade of some kind. 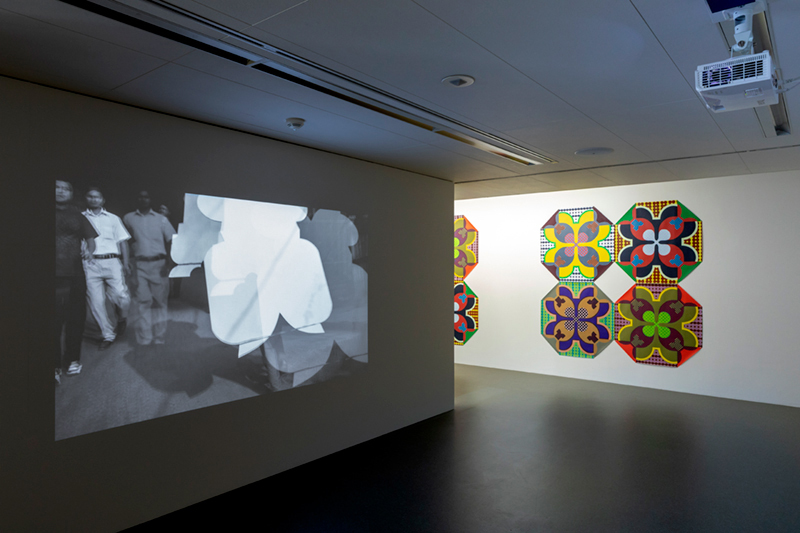 Questions arise about perceptions of art, about repetitions of everyday life, ambiguity and transitions. White Space creates shifting clouds of mystery and abstraction on public grounds, a temporary and fleeting urban ornament.